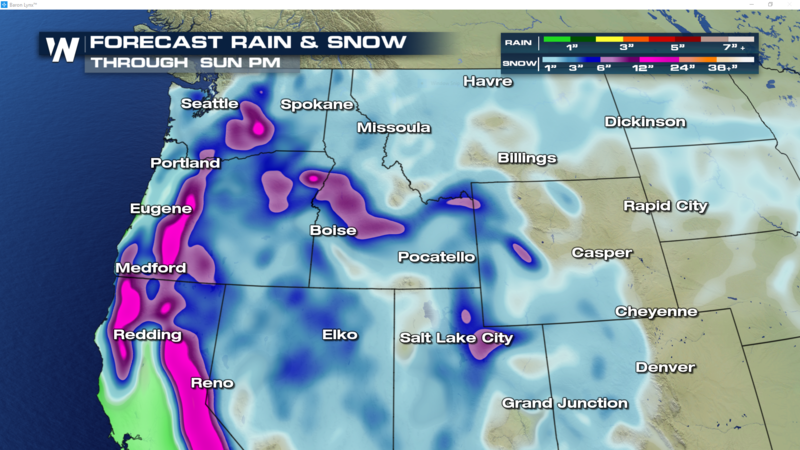 The Pacific Northwest will continue to see snow in the forecast through the weekend and early Monday as numerous waves of energy spill into the region. Areas that are used to seeing rain will see accumulating snow through the weekend. Two cities we are monitoring closely are Portland and Seattle. 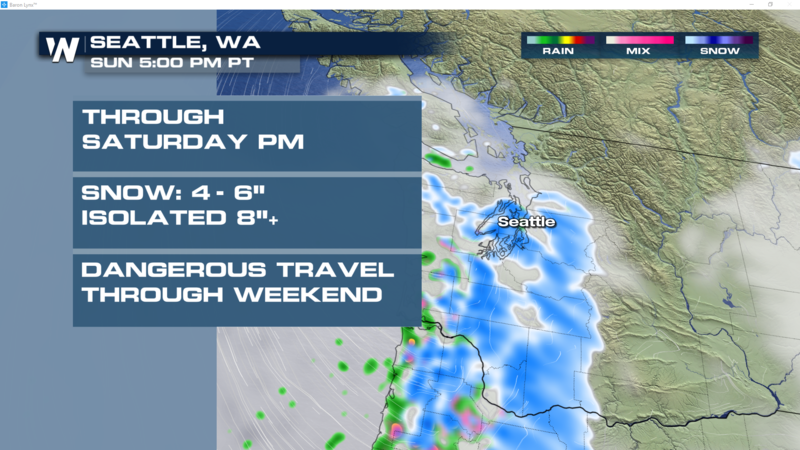 The heaviest snow for these cities will occur Saturday afternoon, with another round on Sunday night into Monday morning, as another system swirls into the states. 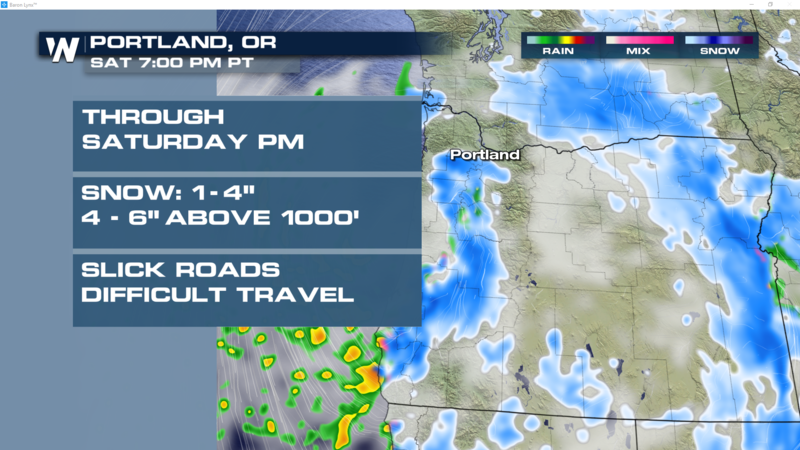 Snow totals will range from 2-4″ in Portland and near 6″ or more in Seattle. Areas above 1,000′ will receive greater amounts. 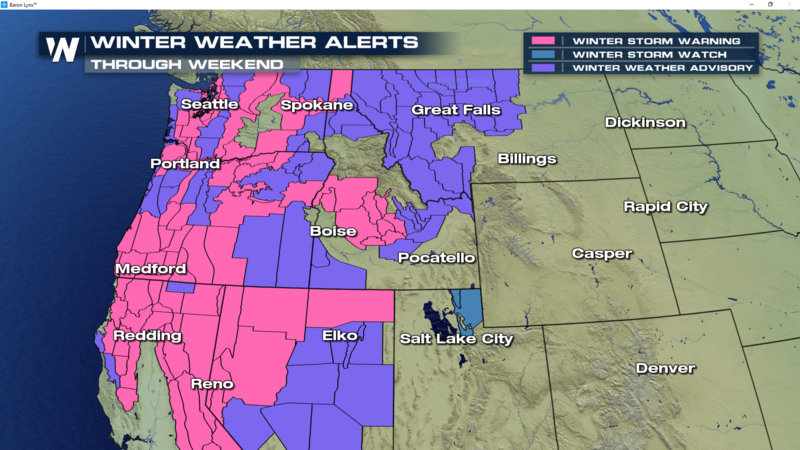 Expect road conditions to be icy and snow-packed in areas, causing tricky travel through the weekend. The upper levels of the atmosphere will be aided by an abundance amount of energy, allowing snow to be heavy at times. This storm will shift south and then east over the next 24 hours giving a lull in the activity, however another round works it’s way into the region Sunday evening and into early Monday. 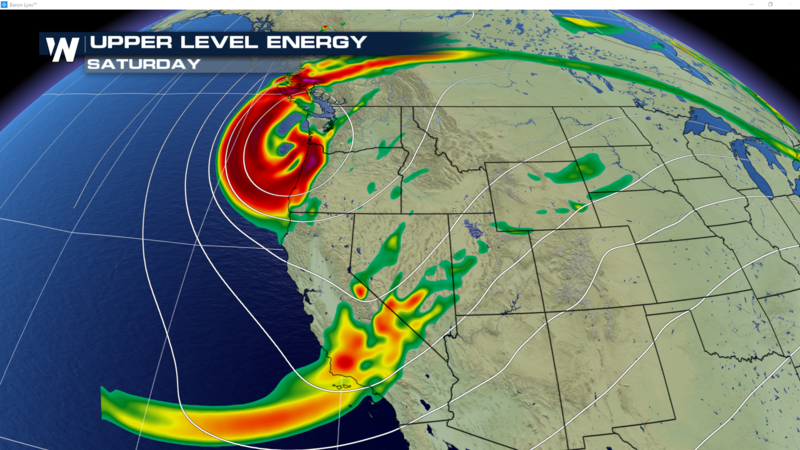 Storm totals from these systems looks to be impressive by Sunday evening. Snow totals range from 1-3″ near the coast, to over 18″ in the higher elevations. Ski resorts will love the snow, but travel to get to the resorts will likely be slow-going, with reduced visibility and icy conditions. 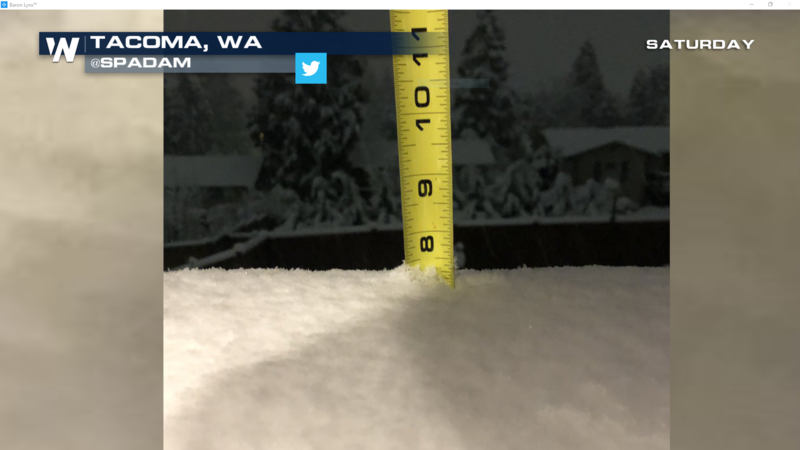 Check out this viewer photo taken Saturday morning from Tacoma, WA, where upwards of 7″ had already fallen! Expect these totals to continue to grow through the weekend, with intermittent bands of snow passing through the area.